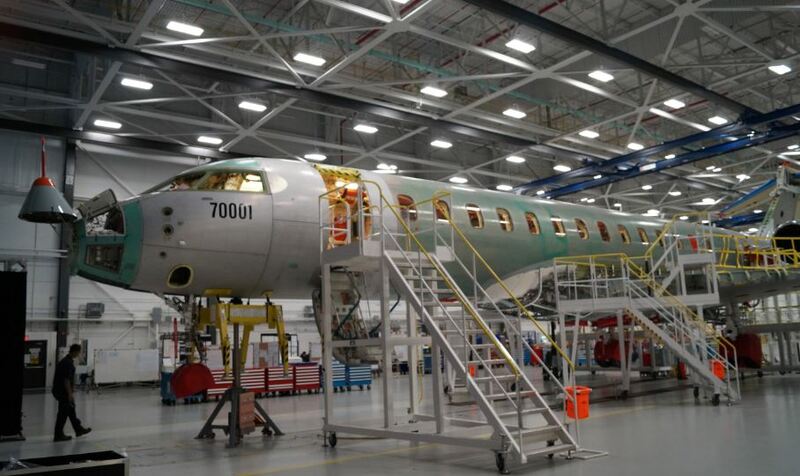 Work is progressing rapidly at a Bombardier facility in Toronto on what is being billed as the ultimate long-range business aircraft. 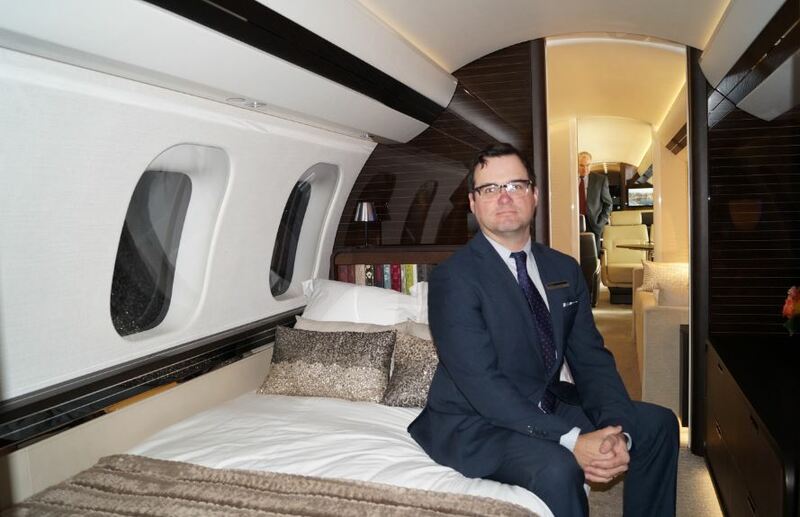 The super-luxury Global 7000 boasts of many firsts, among them a four-zone cabin that includes a bedroom. Two additional test vehicles are in various stages of production. Coleal, Ouellette and GE’s Kathy MacKenzie in Toronto on Tuesay. 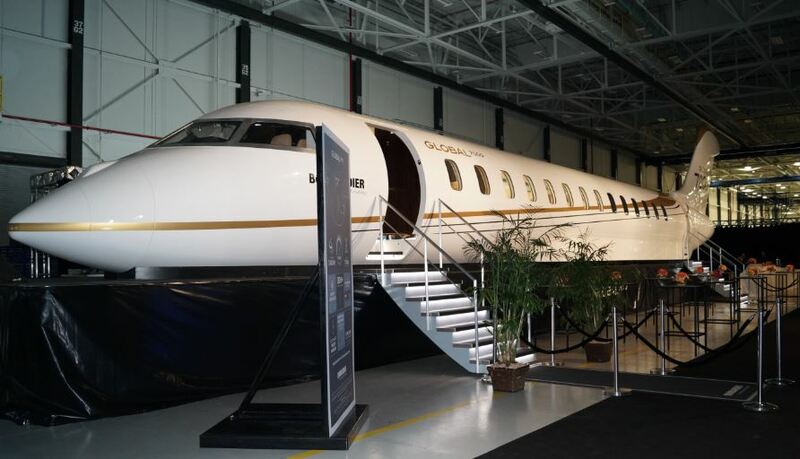 “With a no-compromise approach and forward-thinking technology, we are focused on bringing the game-changing Global 7000 aircraft to market,” said David Coleal, president of Bombardier Business Aircraft. 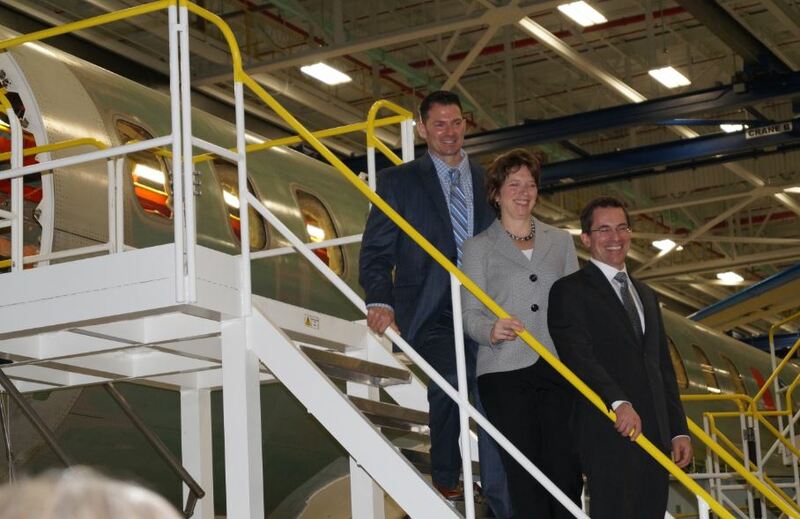 He noted that Bombardier is employing the highest-calibre technology throughout the entire manufacturing process for the Global 7000 and Global 8000 aircraft program. The program’s integrated aircraft ground tests are also making good progress across 15 facilities, the company said. When the Global 7000 and 8000 program was first announced in 2010, many thought it was in response to Gulfstream’s G650. More than 100 G650s are in service now. But Coleal doesn’t agree with that argument. “The G650 is not a competitor because of the four-zone cabin,” he said Tuesday as Bombardier showcased the test vehicles to the media. In fact, Coleal doesn’t think there is another business aircraft currently in operation or in development to compete with the Global 7000. Powered by the next-generation General Electric engines, the Global 7000 aircraft will have a range of 7,400 NM (13,705 km) at M 0.85 with 8 passengers, and will be able to connect London to Singapore or New York City to Dubai non-stop. The Global 8000, which is also under development, will have a longer range and feature a three-zone cabinet. It will also be powered by GE engines. “We’re excited by the unprecedented precision and quality we’ve observed on the assembly of the first two flight test vehicles,” said Michel Ouellette, senior vice-president of the program. The Global 7000 is expected to enter service in the second half of 2018. Wow! Reykjavik for $99 from Canada! Iceland’s only low-cost airline is making an irresistible offer to Canadians travelling to Reykjavik: $99 one way from Toronto or Montreal, tax included! For an additional $149, passengers can travel one way to several destinations in Europe, including London, Paris, Berlin, Copenhagen and Amsterdam. 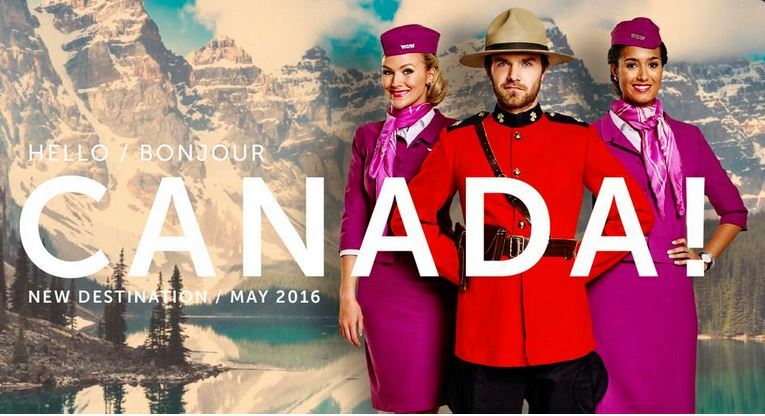 WOW air made the announcement in Toronto on Thursday ahead of the launch of flights from Toronto and Montreal in May. Service from Montreal’s Pierre Elliott Trudeau will begin May 12 and Toronto’s Pearson on May 20. The flights will be operated, using a fleet of Airbus A320 family aircraft, on Monday, Wednesday, Friday and Sunday. 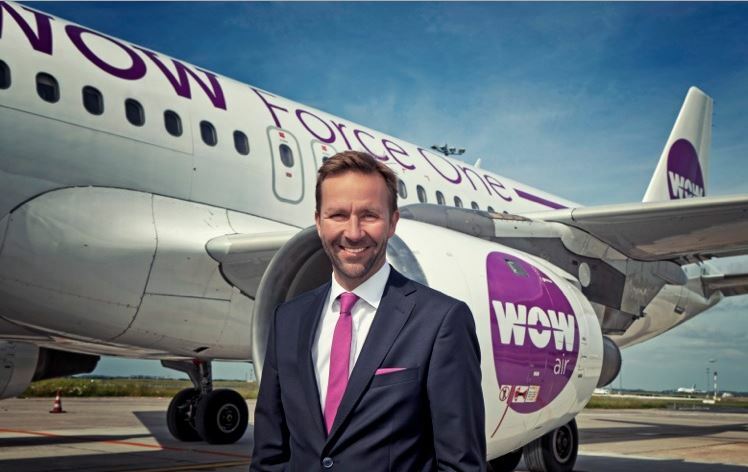 “WOW air prides itself on offering the lowest fares possible as well as the biggest smile and the friendliest service,” said Skuli Mogensen (right), owner and CEO. The airline said its entry into the Canadian market was expected to create an estimated 100 jobs. 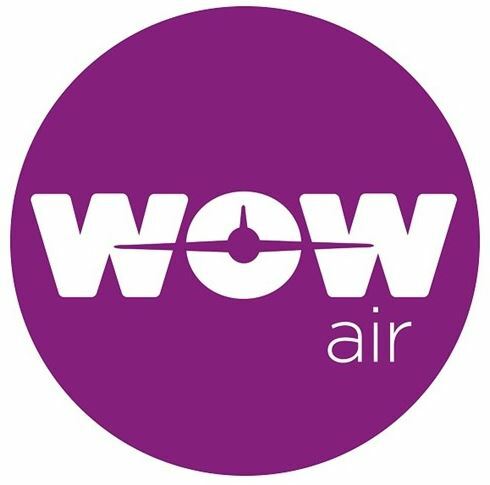 Launched in November 2011, WOW air flies from Reykjavik to 20 destinations in Europe and the United States. Its expansion into the Canadian market follows the launch of transatlantic services from Boston and Washington, D.C., in early 2015, the airline said. “We have just had our best summer ever and, with these new routes launching in May 2016, next summer is another chance to break records,” said Mogensen. All images are courtesy of WOW air. Those are the words of Capt. Andris Litavniks, who was in command on Friday’s maiden flight of Bombardier’s CS300, designed for the 100- to 149-seat, single-aisle market. The airliner departed Montreal-Mirabel International Airport at 11 a.m. and returned four hours later, marking a major milestone in the CSeries program after years of delays and cost overruns. “It was an absolute privilege to fly the first flight of the CS300 airliner and I’m absolutely ecstatic with how well it handled,” Litavniks said after landing the aircraft. 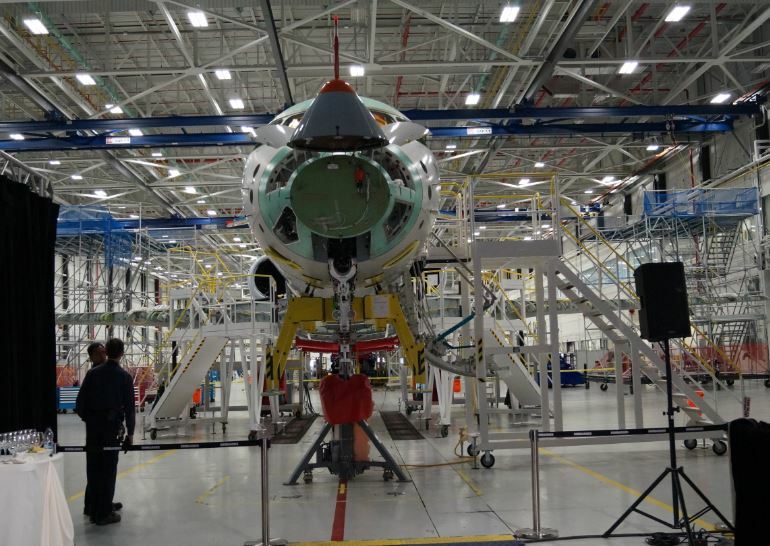 The CS300 is expected to enter service in late 2016. Test flights for the smaller CS100, which can carry up to 125 people, began in 2013. Certification for that aircraft is expected in the second half of this year with commercial flights starting shortly after that. Bombardier believes the CS300 offers the best seat-mile cost in its category and is ideal for a range of routes from short-haul to longer transcontinental markets. “Our CSeries aircraft program is progressing well, with results from testing as expected or better,” said Rob Dewar, vice-president of the program. 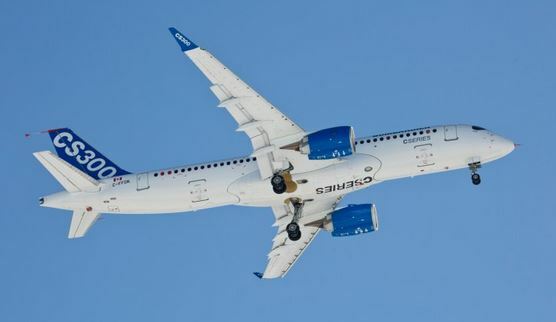 Bombardier has won 243 firm orders for the CSeries aircraft, 180 of them for the CS300. 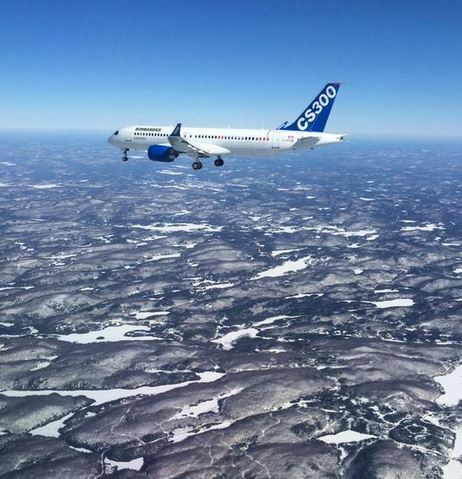 “It was a thrill to see the first CS300 aircraft take to the skies for the first time,” said Mike Arcamone, president of Bombardier Commercial Aircraft. 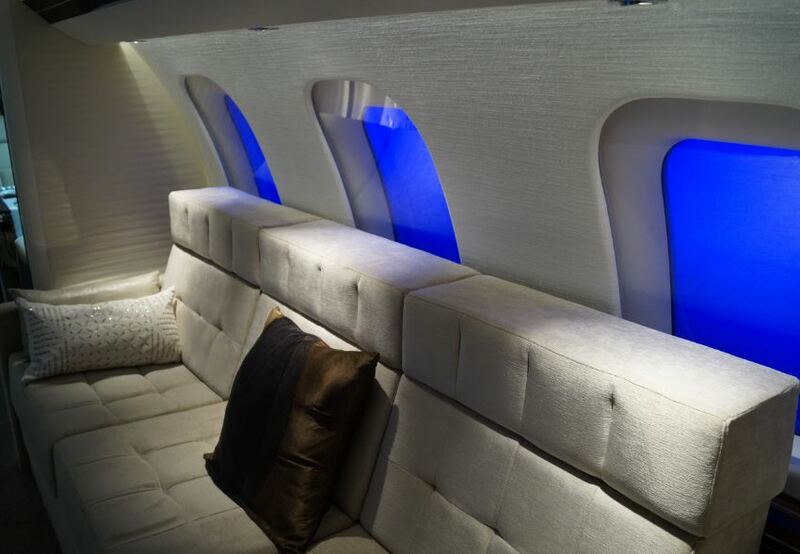 Images are courtesy of Bombardier. Montreal today became the first North American city to be connected to the Tunisian capital Tunis by direct flight when the private airline Syphax launched its service. Syphax, which began operations just two years ago, will use an Airbus 330-200 for the flight to Tunis–Carthage (TUN), which departs Friday evenings. “Following the recent announcements of the arrival of Turkish Airlines and Copa Airlines, this third addition for 2014 clearly illustrates Montreal–Trudeau airport’s (YUL) vitality as it seeks to strengthen its positioning as a hub connecting Europe/North Africa/the Middle East with the Americas,” said airport president and CEO James Cherry. 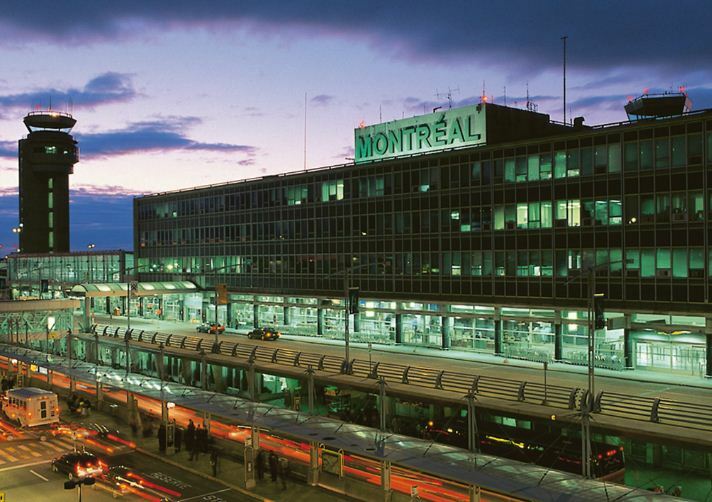 Montreal–Trudeau currently serves about 130 destinations by direct flight. Syphax is based at Sfax Thyna airport in Tunisia. Its network includes Paris, Rome, Brussels, Belgrade, Istanbul, Jeddah, Benghazi and Tripoli.